Royal Academy of Engineering-George Daniels Professor of Scientific Instrumentation, Professor Ken Grattan, says UK consumers deserve to use equipment that accurately measures their energy consumption and gives them all of the benefits which ‘smart meters’ should provide. 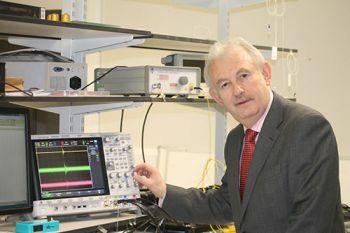 City’s Royal Academy of Engineering-George Daniels Professor of Scientific Instrumentation, Professor Ken Grattan, says consumers deserve to have more accurate and fit for purpose technologies for measuring their electricity usage. 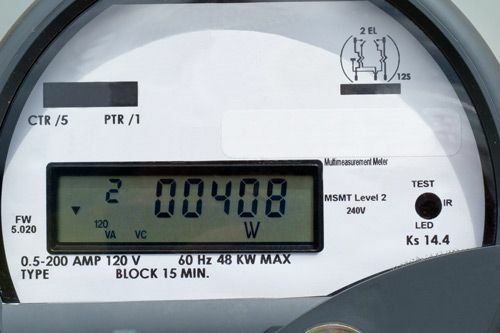 Flaws in smart meters measuring electricity and gas usage have been analysed by the University of Twente's Professor Frank Leferink in the Netherlands. His study found that smart meters can give readings six or seven times higher than the actual electricity or gas used in a household. The news comes against the background of a push by governments, including the Netherlands and the UK, to adopt this technology. The UK Government wants smart meters installed in 26m homes in England, Scotland and Wales by 2020 and Professor Leferink estimates that some potentially inaccurate meters have been installed in at least 750,000 Dutch households. Through tests conducted with the flawed meters, Professor Leferink’s research has demonstrated that problems with the meters are linked to their design and the fact that they were unable to accurately measure usage with energy efficient devices such as dimmers, heaters, and LED bulbs. A UK energy company was recently forced to apologise to a customer after a malfunctioning smart meter handed them a bill for as much as £44k per day. A remote device which reduces the light output of a stage lighting fixture by reducing the total wattage it receives, commonly grouped in banks, panels or packs. Present technology usually has a dimmer per circuit, as opposed to systems where a limited number of high-wattage dimmers are patched to a larger quantity of circuits.